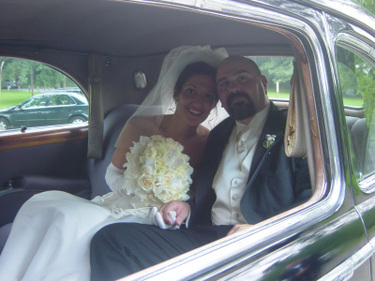 Today George and I celebrate our 4th wedding anniversary. Happy Anniversary, My Love! I know you're reading this....can you believe it's only been 4 years??? It seems like 40! All of them wonderful. We have been together for 9 years and known each other for 12. We met in Florida while I was in college and later moved to NYC together. Then we moved to Eastern Europe and had the opportunity to travel together. Then back here to settle in Virginia. He is my rock. My biggest fan. My heart's desire. And now with one child and one coming in November......he's still my Innamorata. "Innamorata" was our wedding song. If you've been to an Italian wedding, you know what kind of celebration it is! We love love love Dean Martin and just knew that had to be our song. We had sung that song in the car a million times before and it always seemed to fit us. There's no one quite like Dino, really. Even Mario knows the words to "Mambo Italiano" and "Ain't That a Kick in the Head"! Even though it's a happy day, I've kind of got the blues because he's away on a business trip.....hurry home, George. I miss you........................and I really need your help packing orders, Honey! Happy Anniversary!!! Happy, happy Anniversary! Hope that you have a wonderful celebration planned for his return! Hey pallies, all good wishes to you on your anniversary. Always so happy to find others who love our Dino! Indeed, as you say, "There is no one quite like Dino, really." Never was, never will be anyone as cool as our King of Cool....oh to return to the days when Dino walked the earth! Happy Annivesary!!! Have a wonderful time celebrating. 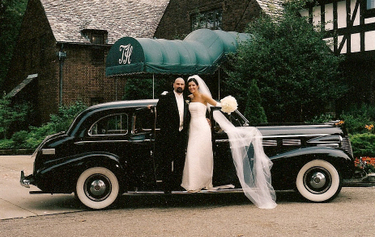 Happy Anniversary to you and your hubby.What beautiful wedding pictures, and I love the cool old car, so classy. Congrats on your success with your new store, I peeked in while in Denmark. I had a fabulous time. Happy, happy anniversary! My hubby and I love Dean Martin as well! Oh Happy Anniversary you two!! Your little story gave me goosies. Love those italians! Two of my favorite songs!!! Italian weddings are the best. Mine being one of those and my daughter's coming soon. Have a wonderful romantic day!! p.s. You both look so great in your wedding photos. Congratulations on the four years and Happy Anniversary!! I do love Dino, especially Innamorata. And italian weddings are always an amazing, extravagant celebration!! And its soo sweet that Mario knows those songs too!! Once again Happy Anniversary!! i REALLY LOVE dEAN TOO.. HAPPY DAYS AHEAD FOR YOU! Happy Anniversary! My order arrived today and I LOVE everything. The lollipop goes to a friend's daughter. I have been sniffing the glue stick all day...um, that didn't sound right, did it? I know you understand! HAPPY ANNIVERSARY ANDREA!!! I HOPE SOON YOU AND YOUR HUBBY WILL BE CELEBRATING SUCH A BEAUTIFUL OCCASSION. I LOVE YOUR WEEDING PICTURES. YOU LOOK VERY BEAUTIFUL IN YOUR WEDDING DRESS. HAVE A GREAT DAY!!! Happy Anniversary!!!!! I hope that you have a lifetime of happy anniversaries ahead of you!!!! Enjoy your special day!!! Happy happy anniversary to both you and George. And what beautiful wedding pics. Hopefully he will be home soon to celebrate! Happy Anniversary to you and George. Hope you have something fun planned when he gets home to celebrate, love your wedding pics! Happy Anniversary! You are both so gorgeous!! You had a lovely wedding day and you both look so happy with each other. Happy anniversary! It will be 17 years for my sweet hubby and I next month. I wrote about my wedding and included lots of photos. 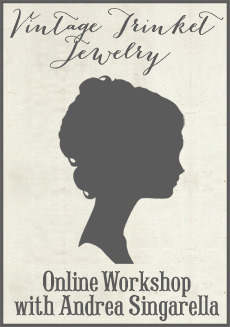 You can find it under the category of Sewing Curiosities at my site. Come stop by for a read and I will be here with plenty of goodies for you that "Mommies to be" like to eat. Is Mario excited about being a big brother? I was a Mommy to be 5 times! Andrea that is so sweet! you guys are so cute. happy anniversary!!!! Happy Anniversary! Such a special time! Enjoy your time together, it passes so quickly. I can't believe that I'm about to have my 36 wedding anniversary. Believe it or not, we are still has happy as the day we met! Enjoy!